At GenAir we inspire others to be leaders in the industry. General Air Service Aruba, locally known as GenAir is a family-owned ground handling company founded in the year of 1972 by the Muyale brothers. Camilo and Tito Muyale were involved in Tourism and Aviation at a very young age and started off as Ramp agents for Amara. However, the constantly increasing tourism flow of the island of Aruba demanded a ground handling service that could cope with the islands rising airline demands. That’s when the two brothers decided to start up their own ground handling service. From a small ground handling service whom only handled South American charter flight, GenAir currently works with 30 different airlines. Including multinationals like JetBlue, Delta, TUI Netherlands, KLM etc. Handling a total of 30 airlines out of the 39 that operate in Aruba. 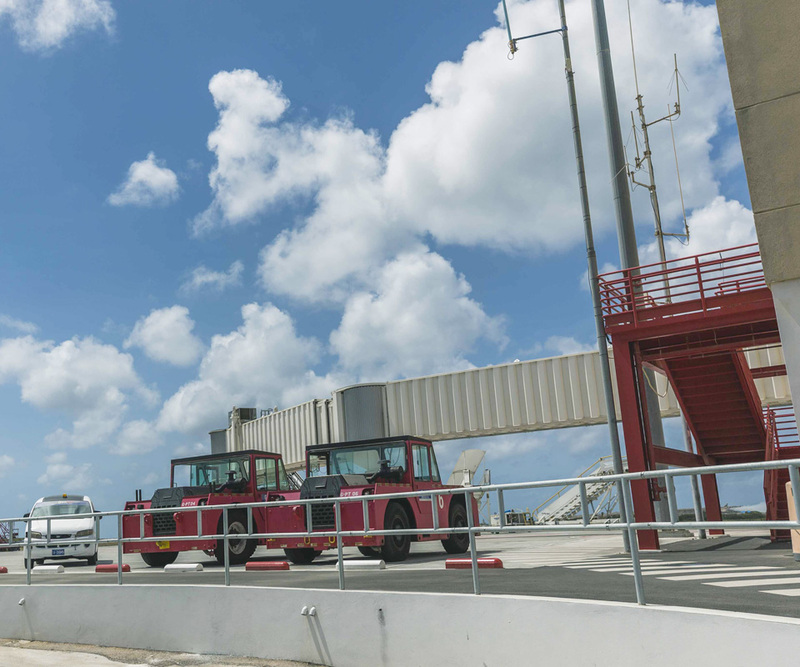 Additionally, GenAir continues to grow offering ground handling services on the islands of Curacao (since 2001), and Bonaire (since 2016) as well. Like Aruba, Curacao has been expecting a massive growth in their tourism sector, which was more than enough reason for the birth of Antillean Flight Services locally known as AFS Curacao. This ground handling service company was established in 2001 and offers the same type of services as Aruba. On the island of Bonaire, GenAir offers their support and supervision to Progressive Air Services. Conducting trainings, audits, handing out certifications and providing ground support equipment support. In comparison to Aruba and Curacao, Bonaire only offers above and below the wing ground handling services to narrow body airplane. However, Bonaire is slowly increasing and developing its services and soon they will be able to offer services to wide body airplanes as well. Fill in the form under the “Request for proposal” tab for possible package deals and partnerships for the ABC islands. “GenAir is the biggest full spectrum ground handling service on Aruba. GenAir is able to offer the following services to its customers: above the wing, below the wing and security. GenAir currently offers its partners/customers administration services, passenger services, ramp services, aircraft services and aviation security service. However, these services exclude catering and aviation maintenance, GenAir is expecting to be able to offer these services soon. “The mission of GenAir is to consistently provide safe, on-time and cost-effective ground handling services with a smile”. Working within fast paced and constantly changing industry forces GenAir to continuously develop its services in order to meet international demands. GenAir therefore is on the verge of future automatization growth and process. Additionally, we from GenAir strive at being a leading ground handling company in the Caribbean. Being the first to obtain the IATA Safety and Audit certification “ISAGO”. Additionally, GenAir currently is in possession of new equipment that is battery powered therefore aiming at providing a full spectrum ground handling service keeping our people and our planet in mind. GenAir strives to become the best international ground handling service for all airlines travelling to the Caribbean. Delivering high quality services with a professional and well trained staff whom focuses on safety, our customers and our planet. For example, we are an ISAGO Certified company (IATA Safety Audit for Ground Operators) which is the ISO Quality Standard equivalent for airline ground handlers. We are the first independent ground handler in the Caribbean to have been certified as such. In the future GenAir is striving to receive the Lean Six Sigma, which is an IATA implementation tool that makes sure to continuously improve customer satisfaction by systematically removing waste.